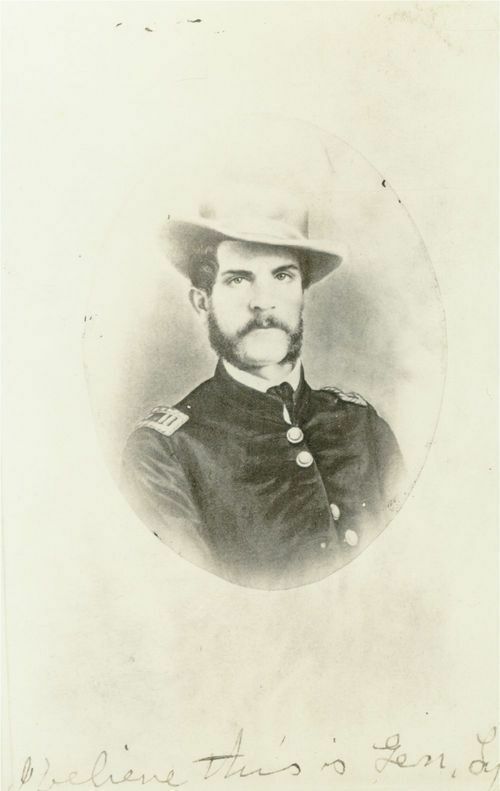 A portrait believed to be of Union General Nathaniel Lyon. On August 10, 1861, Kansas troops saw their first action at the Battle of Wilson's Creek near Springfield, Missouri. General Lyon, who commanded the Kansas troops, lost his life in the engagement. The union troops were outnumbered by the Confederates, who were under the command of General Sterling Price. Creator: Avey & Scholten photographers, Springfield, Mo.